Dr. Ahmad Fuad Afdhal is an accomplished researcher, author, entrepreneur, business executive, academic leader and alumnus of the College of Pharmacy, earning his doctorate in social and administrative pharmacy in 1983. He has demonstrated outstanding leadership in academia, business and international research in pharmacoeconomics. Currently he is president of his local chapter of the International Society for Pharmacoeconimic and Outcomes Research. Dr. Afdhal is the former president of the National Institute of Science and Technology in Jakarta, where he also served as the Dean of the Faculty of Mathematics and Natural Science and the Head of the Department of Pharmacy. Dr. Afdhal has remained an active researcher throughout his leadership career. His is widely recognized for his research on quality-of-life and cost-effectiveness analyses of typhoid treatments, hepatitis C and hypertension. Additionally, Dr. Afdhal has authored five professional books and numerous articles in newspapers and magazines. 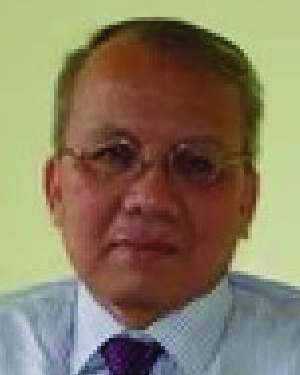 Dr. Afdhal also has a long record of professional accomplishments in Indonesia. He is the chief executive officer of the Center for Socio-Economic Studies in Pharmacy, as well as the Chief Executive Officer of STRATOS, PT Tiga Cahya Fortuna, and AFA Communications. He has served as national chair for the Indonesia Public Relations Association, chairman of Ikatan Alumni ITB Angkatar, and executive committee member of ISPOR Asia Consortium. In 1995, Dr. Afdhal founded his own consulting company in public relations that works with major companies in Indonesia ranging from banking to pharmacy to apparel. He may reside in Indonesia but Dr. Afdhal remains firmly connected to the University of Minnesota. He has not forgotten the tremendous beneficial impact the University has had on his life. Dr. Afdhal is a life member of the Alumni Association and returned to campus when the Department of Social and Administrative Pharmacy celebrated its twenty-fifth anniversary. He was the guest who came furthest for the event. In addition, Dr. Afdhal is a loyal ambassador of the University. He maintains connections with the College of Pharmacy monthly and has hosted University pharmacy students in Jakarta. In naming Dr. Afdhal as a recipient of the Distinguished Leadership Award for Internationals, the selection committee cited his remarkable leadership accomplishments in Indonesia. He has taken his University of Minnesota experience and translated that education into new educational and research programs in Indonesia, which has in turn spread health outcomes research and social pharmacy throughout Asia.